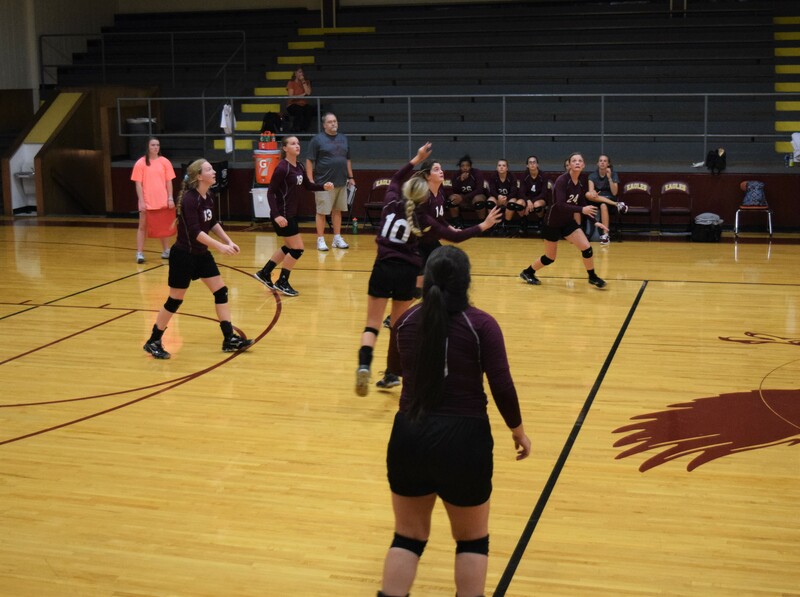 LOVELADY – When the UIL announced alignments for the 2018 volleyball season, the governing body of high school athletics in the state of Texas didn’t do the Lovelady Lady Lions any favors. The Lady Lions are in a district with the Iola lady Bulldogs who won the Class 2A state championship in 2016 and finished as the Class 2A state runner-up in 2017. To make matters worse, the UIL threw in the Leon Lady Cougars who were a final four team in the 2017 and 2016 3A state tournaments. In addition, the Lady Cougars were state champs in 2015. While it will be a challenge, first year Head Coach Tyler Sisco feels his squad will be up to the test. “We have three returning starters. Even though we only have those three, we do have a lot of experience. Most of the girls have played a lot through travel and at the lower levels. I was pleasantly surprised at their level of skill. The challenge will be to bring that all together and getting on the same page. I think defensively, we will be pretty good,” the coach said. As far as an area the team needs to work on, Sisco said the team needs more communication. “Every time that ball is on the other side of the net, we need to be exactly where we’re supposed to be. We need to have a clue where everyone else needs to be, as well. That’s a challenge every year, early in the season,” he said. “What I took from that game was we will compete. You can throw them out there with anybody and they will compete. They are not going to back down from anyone. Our district is tough with those perennial powers and they take things with them from what happened in the past, but it still comes down to what happens on the court. I like that challenge and our girls do too,” he explained. The Lady Lions will compete in District 22-2A along with: the Centerville lady Tigers; the Iola Lady Bulldogs; the Leon Lady Cougars; the Normangee Lady Panthers; and the North Zulch Lady Bulldogs. Players to watch this year include: Kaiden LeMaire, Brittnie Huester and Jacy Stubblefield.